Octagon House, Washington. Le ceramic portico of this one-time French Consulate was one of the first projects sponsored by French Heritage Society, also founded by Michèle le Menestrel Ullrich, in 1982. On November 30, 2015, France is honored. 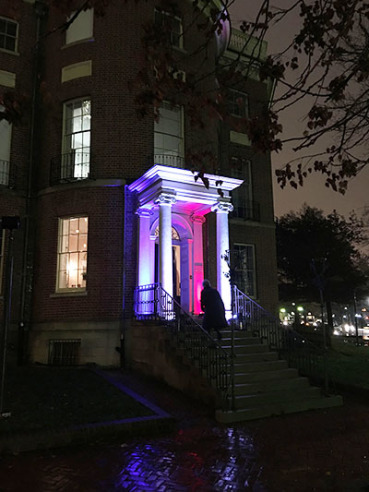 The portico of Octagon House, seat of the American Institute of Architects in Washington, D.C., is lit in red, white and blue in an expression of solidarity with the French people. 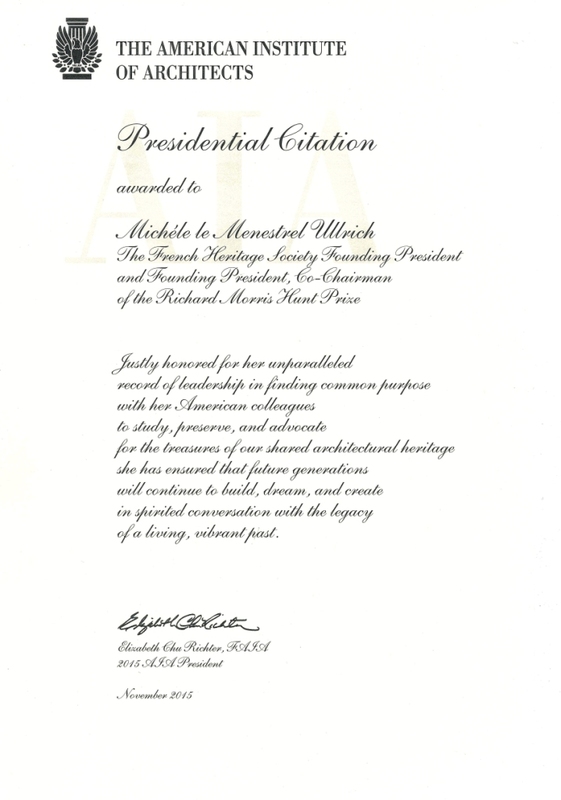 Elizabeth Chu Richter, AIA President, and Robert Ivy, AIA Vice-President and CEO, organized the reunion of partners, Fellows, and numerous friends of the Richard Morris Hunt Prize to congratulate and celebrate Michèle le Menestrel Ullrich, founder and co-chairman of the Prize, on the occasion of her decoration as Chevalier de la Légion d’Honneur. 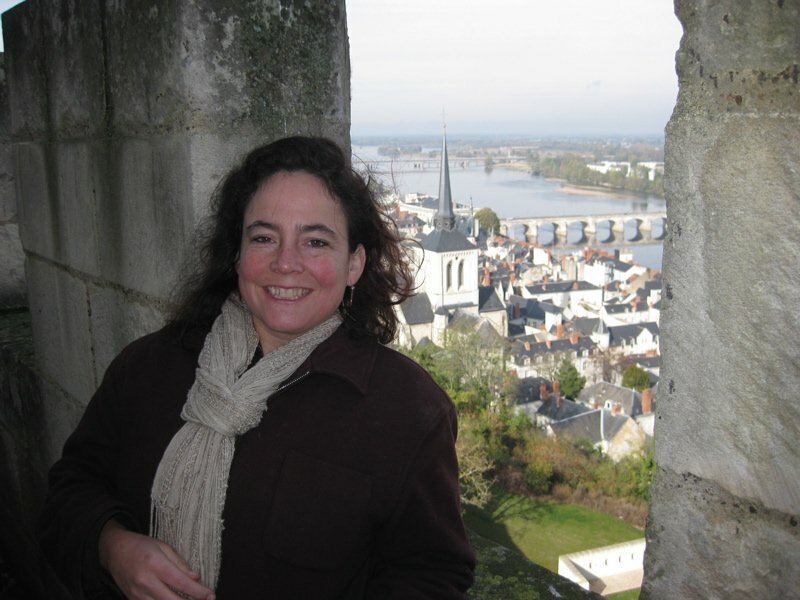 The Croix de la Légion d’Honneur, the order’s insignia, was officially conferred upon Madame le Menestrel Ullrich last October 16th in Paris by Philippe Bélaval, President of the Centre des Monuments Nationaux, in recognition of her contributions to French architectural heritage in the context of international exchange.